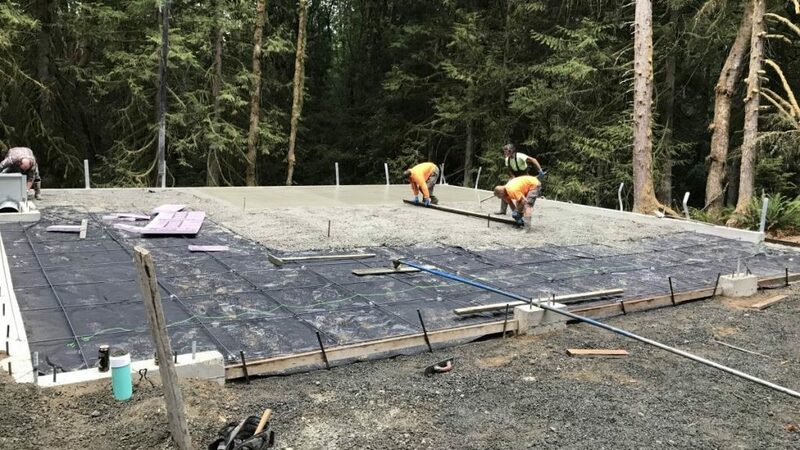 “Measure twice, cut once” has got to be one of the dumbest adages- It sounds like a good idea but in practice it’s a fool proof way of making sure your project won’t turn out perfect. I almost never cut only once when doing finish work. 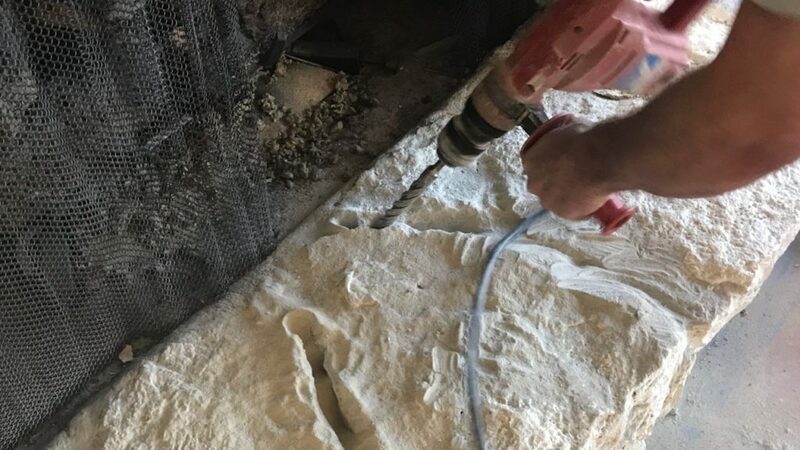 The best way to make your joints perfect is to cut the work piece just a little long, check the fit, adjust if necessary, and then trim it again. A power miter saw, or chop saw is the tool that allows you to make these cuts. In this review, we’re going to look at the different miter saw designs and features that will make whatever project you are working on a success. And we’re going to show you the different brands and models to help you make the right decision on what is the best miter saw for you. When we talk about miter saws, there are a few different types, each with their own advantages and disadvantages. 10”, 12”, Single and Dual Compound, and Sliding are the most common types. How do you improve on the best non-sliding miter saw on the market? 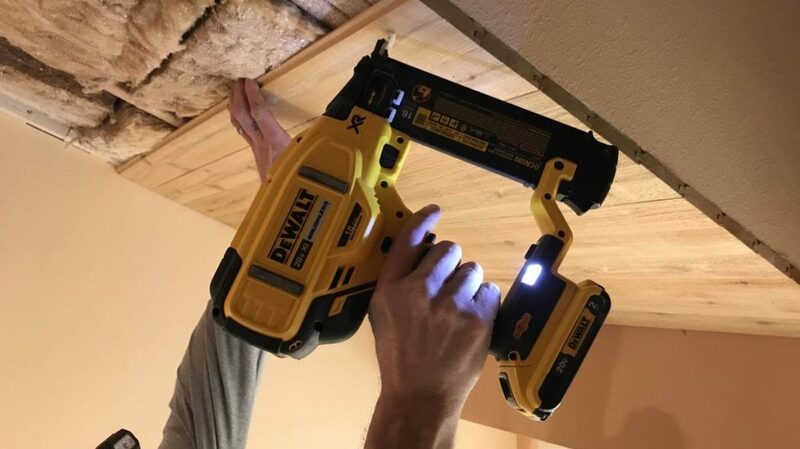 If you are DeWalt, you add an LED lighting system that works better than any laser guide. 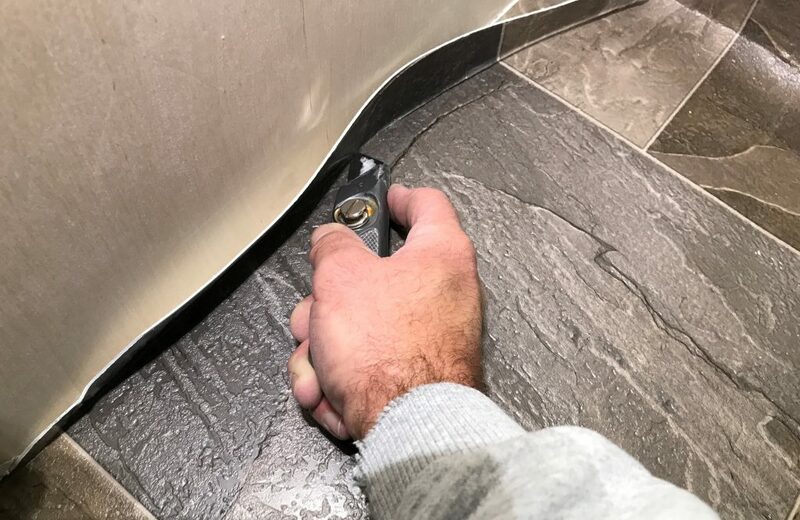 The XPS Crosscut positioning system shines an LED light on both sides of the blade to cast a shadow on the work piece that is the exact width of the blade. And there is no need to recalibrate when you install a different blade. 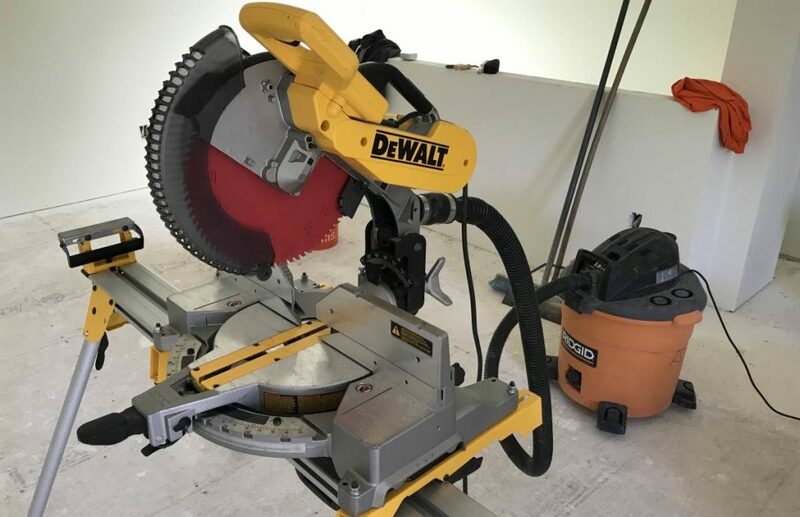 The DW716XPS has the best mix of cutting capacity (10” width flat at 0 degrees and 6 ½” vertical against the fence), relatively lightweight (44 pounds) for portability, and super smooth cuts (belt drive motor) of any miter saw in our list. 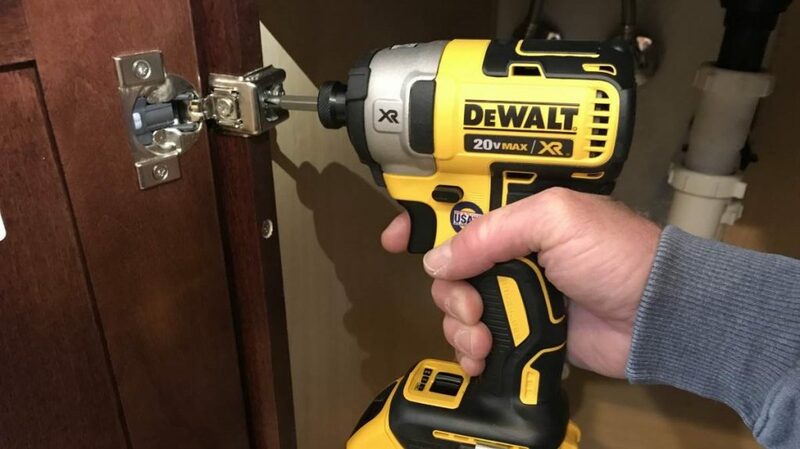 DeWalt is not new to miter saws or power tools in general for that matter. Founded in 1922 in Leola, Pennsylvania by Raymond DeWalt, his invention of the radial arm saw was a revolutionary labor saving tool. 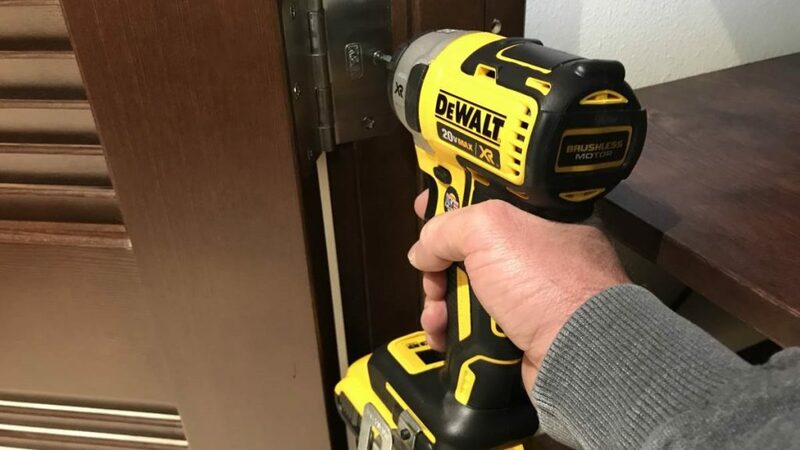 Dewalt introduced a new line of electric power tools in 1992. 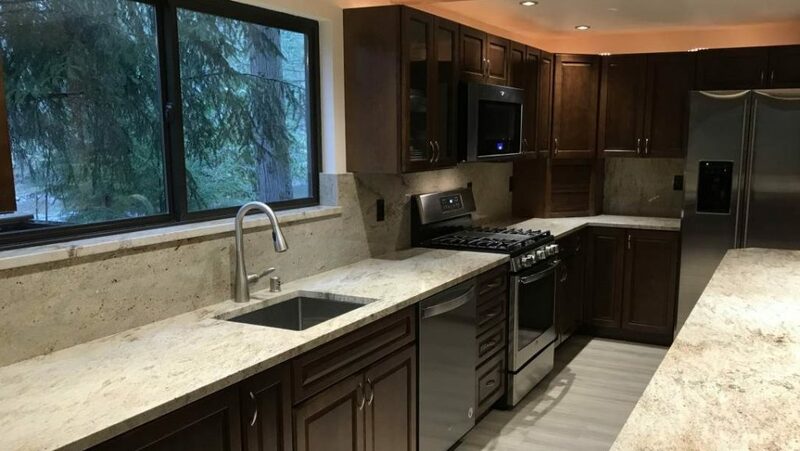 These were portable and came with many accessories and were designed for remodelers, woodworkers, and residential contractors. 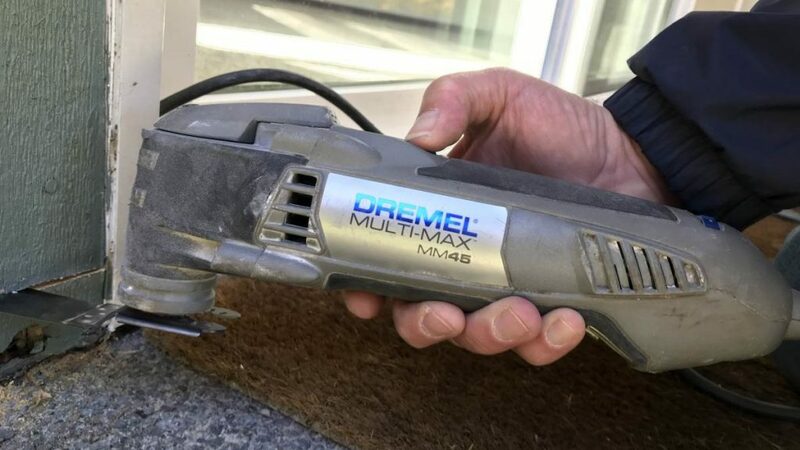 In 1994 they introduced the most powerful cordless tool at the time, the 14.4-volt cordless drill/ driver. I remember getting my first one of those and how it revolutionized the way we work on a jobsite. That drill took one heck of a beating day in and day out and ended up lasting for years. 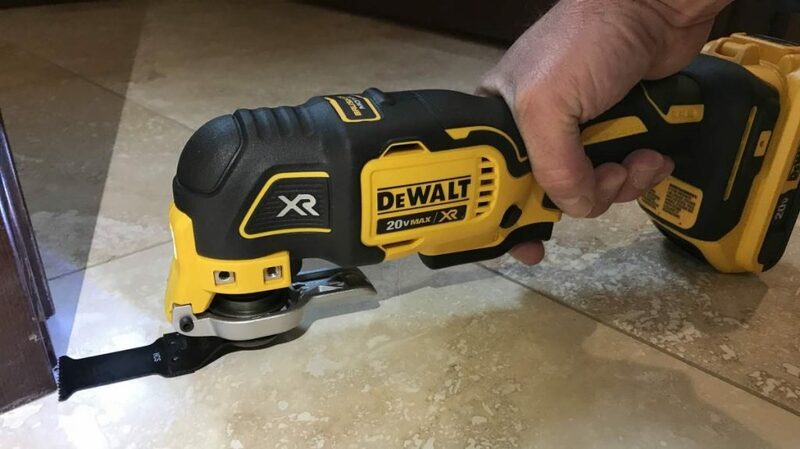 The DeWalt DW716XPS is a dual bevel compound model that gives you the maximum amount of options when cutting materials like crown molding that require multiple angles at the same time. 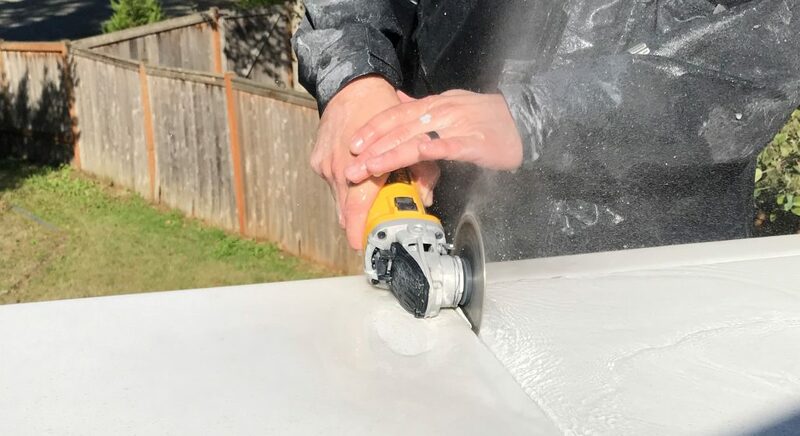 It’s 12” blade allows for great cutting capacity both horizontally and vertically, so you can cut baseboards as tall as 6 ½” against the fence or crosscut a 10” wide board flat on the table. An often overlooked feature is the belt drive motor that reduces motor vibration transfer to the blade, making for significantly smoother cuts compared to a direct drive motor. If you’re looking for a profession grade saw that outperforms everything in its class, the DW716XPS is the one for you. If you’re looking for a great no frills saw at a bargain price, the Hitachi C10FCG might be the best miter saw for you. 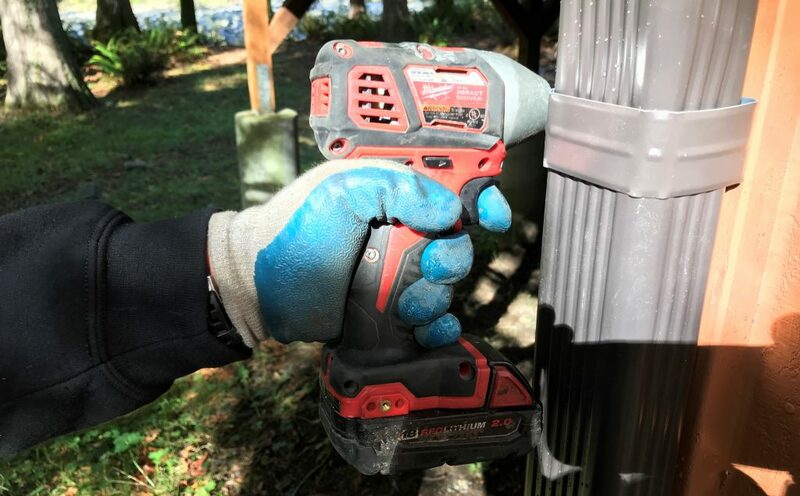 It has a 10” blade which limits the cutting capacity to a little over 5” flat on the table and 3 ½” vertically against the fence, but it’s enough for cutting normal sized casings and baseboards. The single bevel feature isn’t really a drawback because you wouldn’t be using the C10FCG to cut big crown moldings anyway. Best of all, it’s compact and light weight (24.2 pounds) so it’s easy take to where ever the job is and it comes at a price that most anyone can afford. The latest version of the saw that changed the world of miter saws is still a winner. 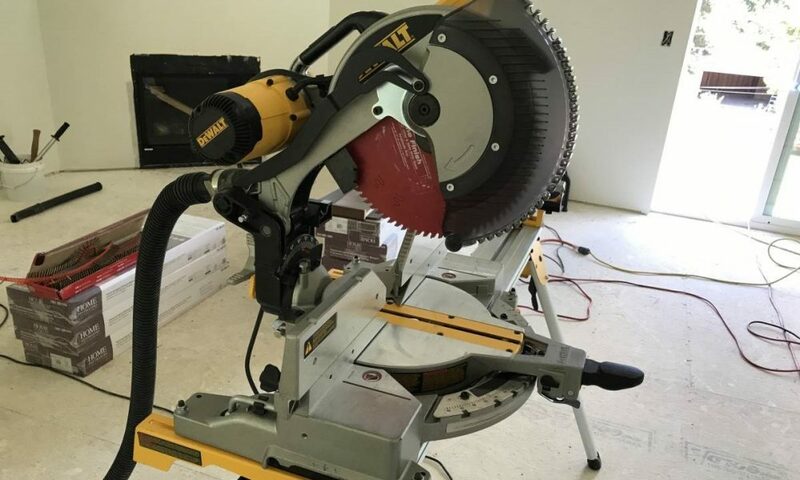 When DeWalt released the first 12” miter saw back in the early 1990’s, its increased cutting capacity effectively made the standard 10” blade models inadequate. 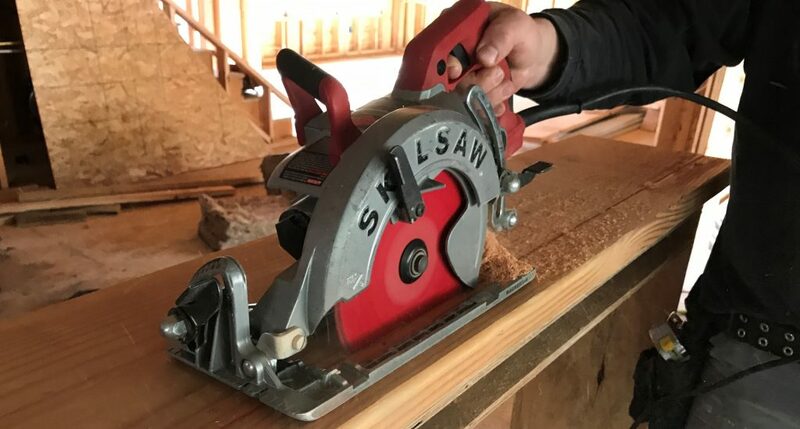 The DW715 is a basic compound miter saw with single bevel, not many extra bells and whistles, but a well-made saw that will last for years and it comes at a really great price. I still have an earlier version (DW705) that is still going strong today. If you’re looking for the best sliding compound miter saw for the money, the DeWalt DWS779 just might be the ticket. 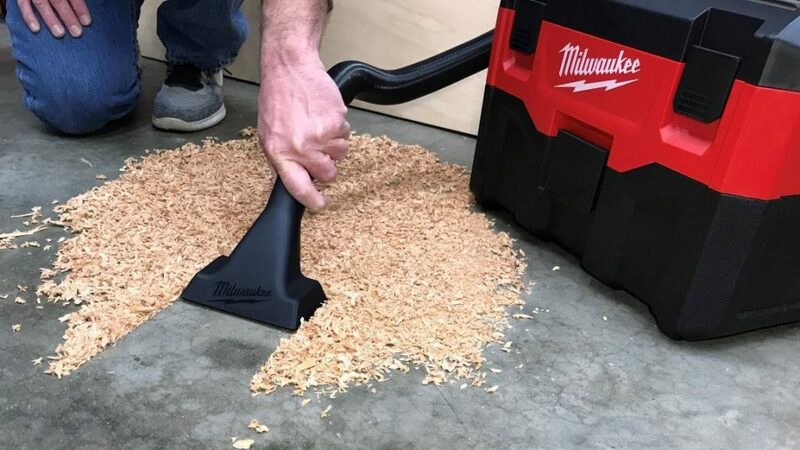 The belt drive motor has a speed of 3,800 RPM for super smooth cuts in hard or soft woods. 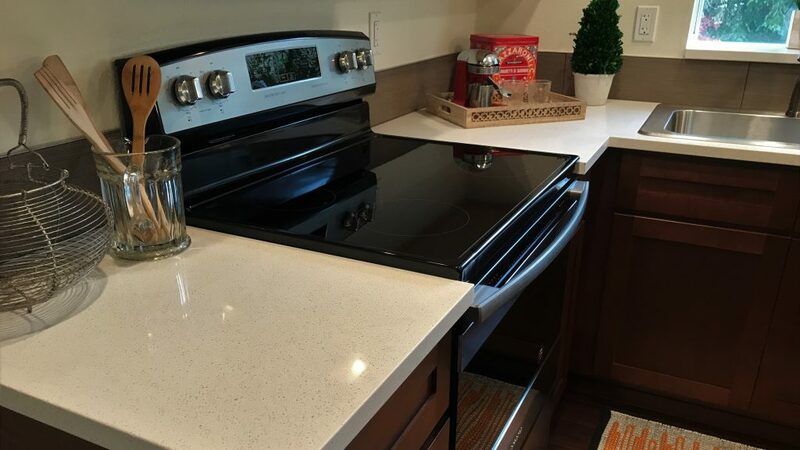 The dual bevel tilts to 48 degrees to the left or right, the miter angle swings all the way to 60 degrees to the right and 50 degrees left. Plenty of flexibility and at a reasonable price, the DWS779 is a great saw, so long as you aren’t going to be lugging it around a lot. The Bosch GCM12SD is full of innovative features that set it apart from the competition. Its Axial-Glide system eliminates the traditional rails of a sliding miter saw, replacing them with a design that folds the back of the saw with the articulated arm flush, saving tons of room (about 12”) that you would normally need behind the saw. 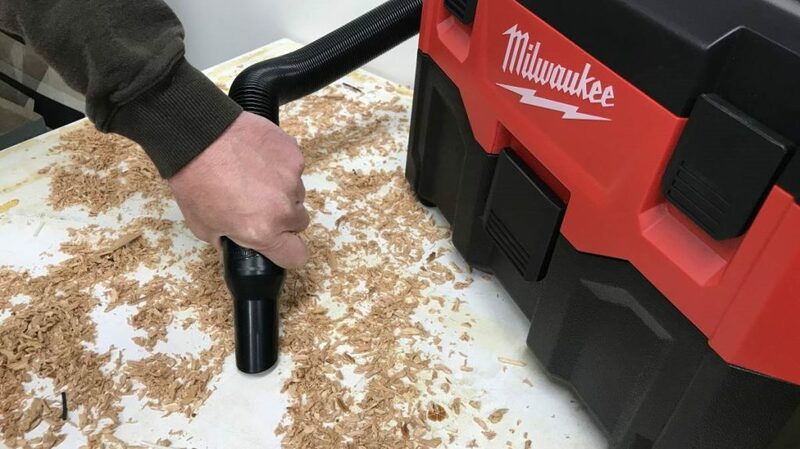 Dust collection is much improved as compared to most sliding miter saws on the market. A great example of precision German engineering, but it comes at a steep price. I always chuckle when I see the websites with the reviews of tools when they say “we spent over 20 hours evaluating these tools, trying to simulate real word conditions in our test lab” and that is somehow supposed to convince you that that makes them some kind of authority on the subject. And because they’ve spent all that time, you therefore should trust them to recommend the Best Miter Saw. 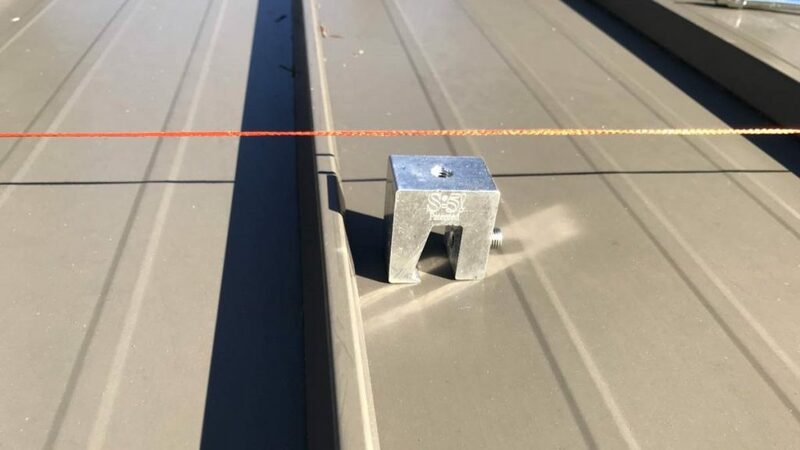 I guess maybe there is some value in knowing that a brand new tool was able to cut a 2 x 10 at 45 degrees and it was easy to set the miter angle, but you might want to know how well that tool performs after it’s a few years old. Or you might want to know if the tool can hold up to daily use and abuse like it is subjected to in the actual real world. A miter saw is a must have tool for any DIY-er. 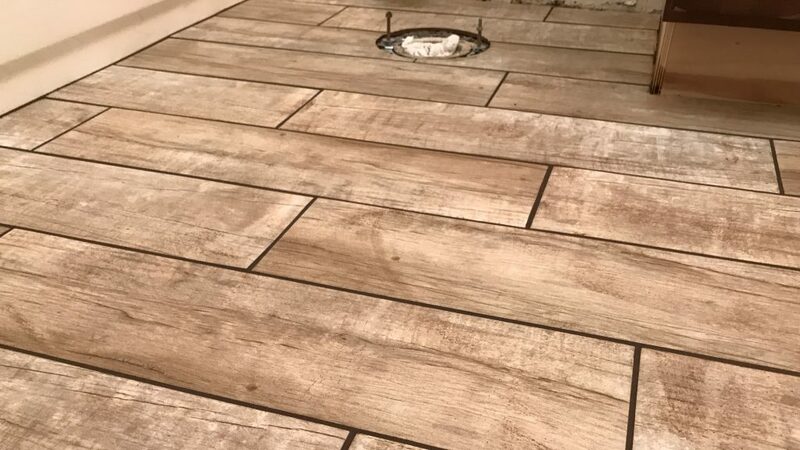 It allows you to make accurate cuts in variety of materials- from moldings and trim to wood flooring and decking. There is no better tool for making perfect cross cuts. There are three types of miter saws- compound, dual bevel, and sliding. 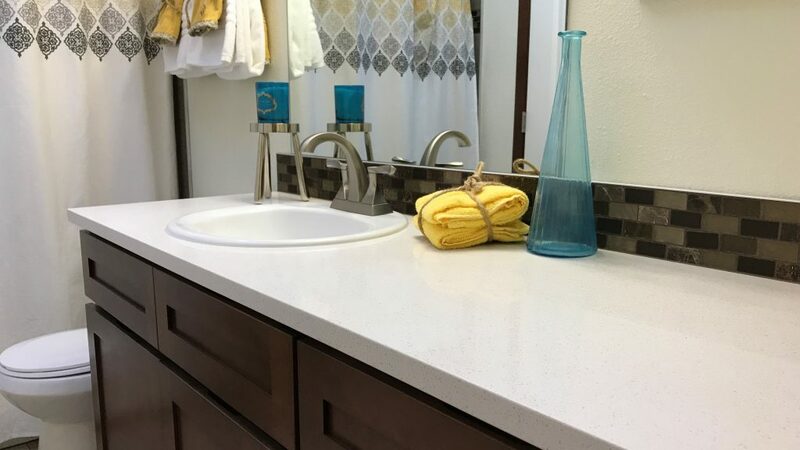 They each have advantages and disadvantages, so deciding which type is right for you will depend on what types of projects you’ll be using it for. A Compound Miter Saw is the most basic type. It is capable of cutting a variety of angles but it also can tilt the blade in one direction (usually the left) to make a bevel cut. Cutting a piece of crown molding requires a compound cut because of the way it is installed on the wall. These saws are the lightest weight and the least expensive. 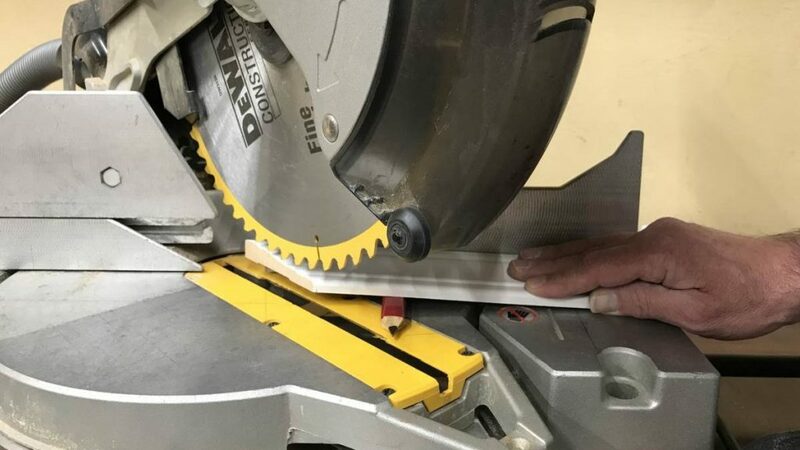 A Dual Bevel Compound Miter Saw has the ability to tilt the blade both left and right so you can make cuts without having to flip your work piece around. 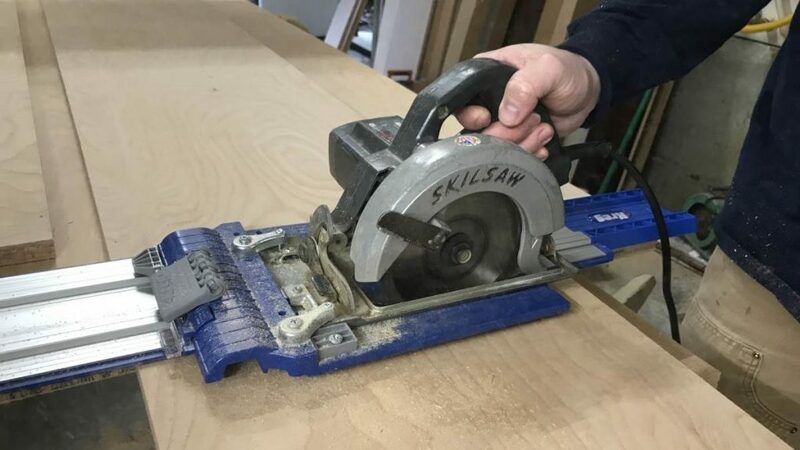 A Sliding Dual Bevel Compound Miter Saw adds the additional feature of being able to slide the saw forwards and backwards (usually on rails) to be able to cross cut wider boards. 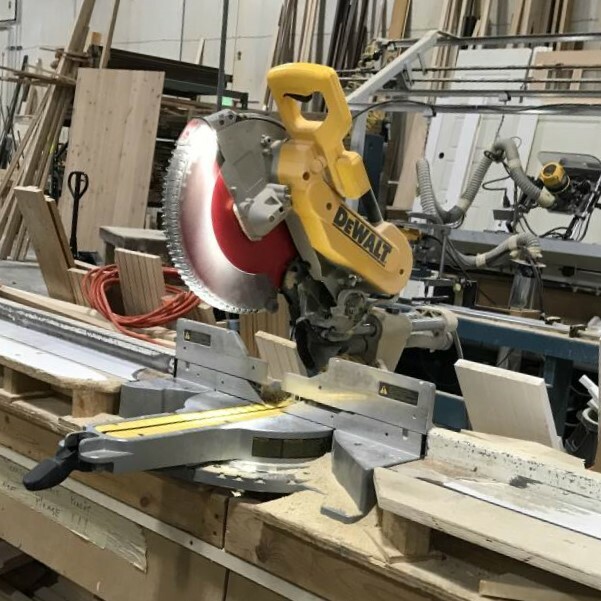 Power is one of the more important features when deciding which is the best miter saw, but unfortunately most manufacturers don’t publish all of the data on their circular saws. The amp rating indicates how much electricity a motor draws. 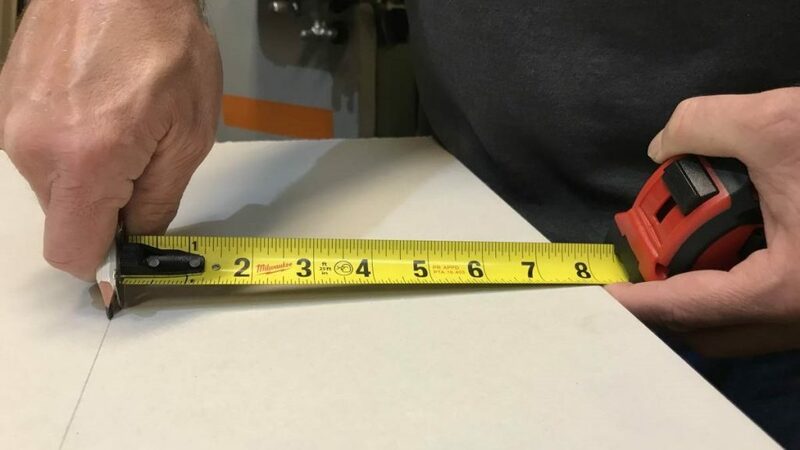 Most professional grade miter saws will be rated at 15 amps. Blade speed is measured in revolutions per minute or RPM. The best miter saws will be in the 3,800 to 5,000 RPM range. Torque is how much force acting on an object causes that object to rotate and is the one specification that manufacturers don’t publish. The blade size has the biggest influence on cutting capacity- how big the work piece that can be cut. 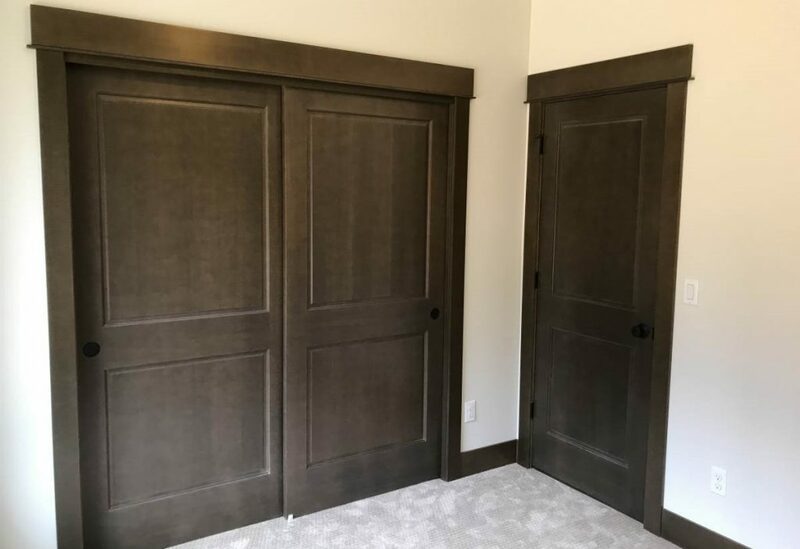 A typical 10” miter saw can cut a baseboard that is 3 ½” or so inches tall flat against the fence, while some 12” saws are capable of cutting baseboards that are 6 ¾” tall. The biggest advantage to a sliding miter saw is its ability to cut much wider boards flat on the table. 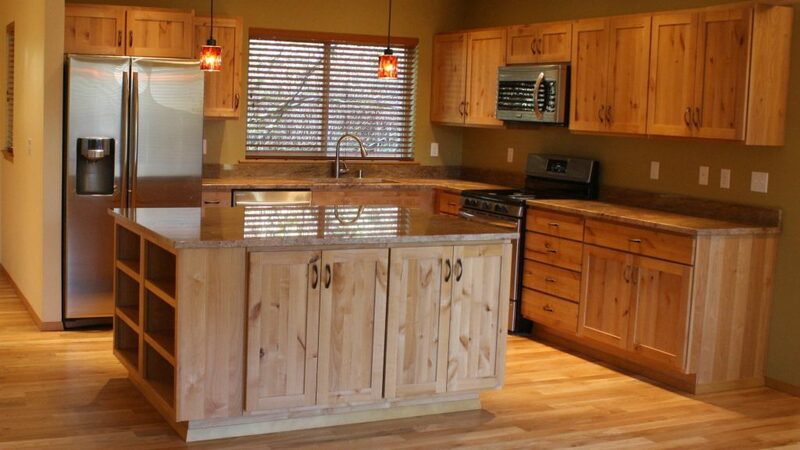 The miter capacity refers to the maximum angle that the table can swing. 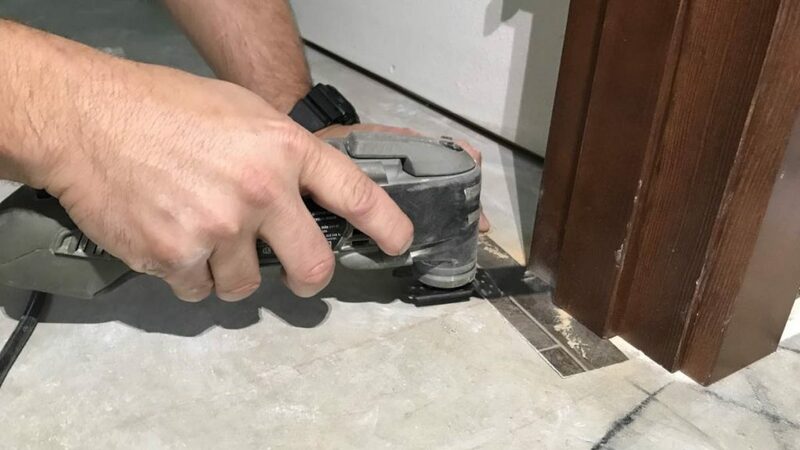 Most cuts for casings and baseboard corners will be around 45 degrees give or take, but sometimes you’ll need to make cuts with angles bigger than 45. Most saws can go to 47 or 48, while some like the DeWalt DWS779 can go all the way to 60 degrees, giving you much more flexibility. Bevel capacity is the maximum bevel angle that can be achieved with the blade tilt. There are two ways of transferring the power of the motor to the blade. On less expensive saws the blade is attached directly to the motor spindle. A fair amount of vibration is transferred to the blade in this setup. A belt drive isolates much of the motor vibration resulting in cleaner and smoother cuts of the work piece. Moderately priced prosumer grade compound miter saws range are in the $100 to $200 range. Around $300 will get you into a professional grade 12” dual bevel compound miter saw. Industrial grade sliding dual compound miter saws run in the $350 to $600 range. My wife bought me a “Porter Cable” the laser burned out and I found out that, That specific laser was no longer made for replacement. I now have a one-eyed bald headed trouser mouse that is absolutely no Good for Finish Trim work. You have to keep in mind that I’m kinda old and really pretty well set in my ways. New DIY tools have to show me some road rash and let me know they are worth the time and effort. I think you did a good job here.